Toyota has officially rolled out its first hydrogen fuel cell vehicle, the Mirai! 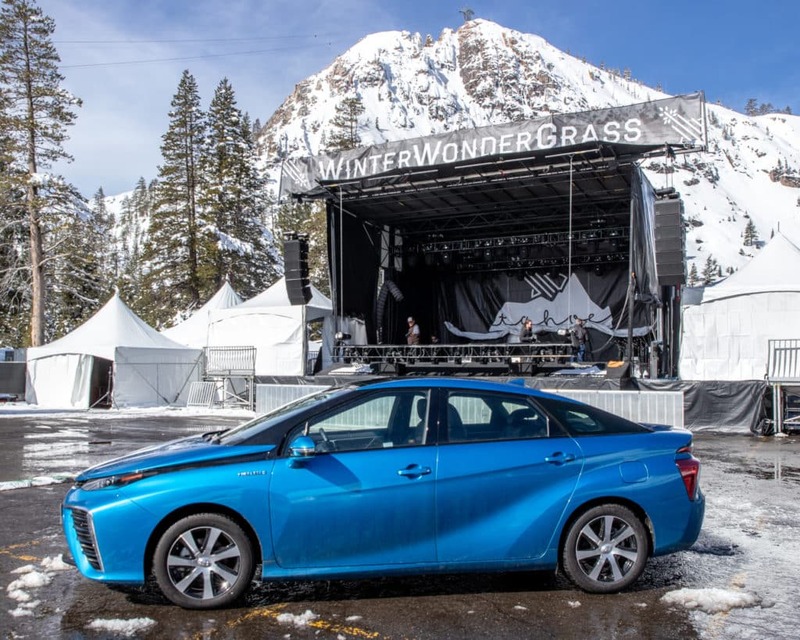 WinterWonderGrass attendees can actually test drive this luxury zero-emission sedan at the Toyota activation on-site, and find out for themselves what it’s all about. 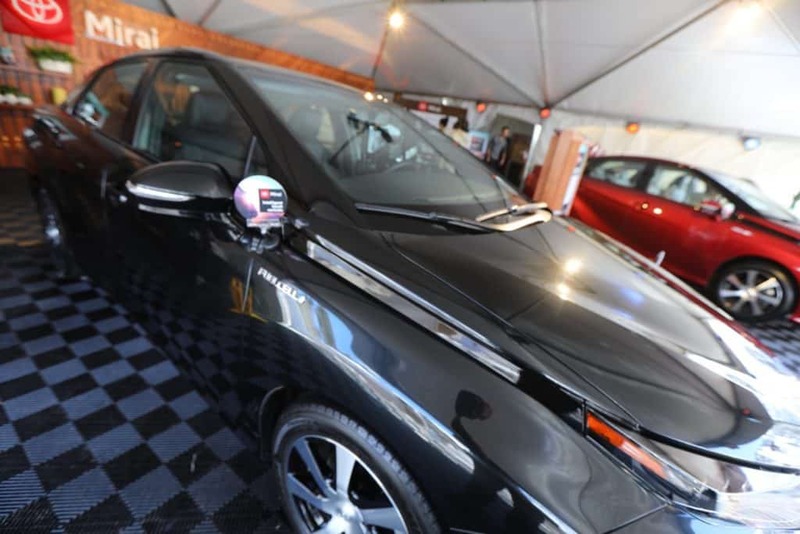 The Mirai a long-range electric vehicle powered by fuel cell hydrogen, which eliminates the need to plug in, and solves the problem of long charging times. You pull up to a hydrogen fueling station, refuel for about 5 minutes and you’re good to go! The estimated range for this car is 312 miles. 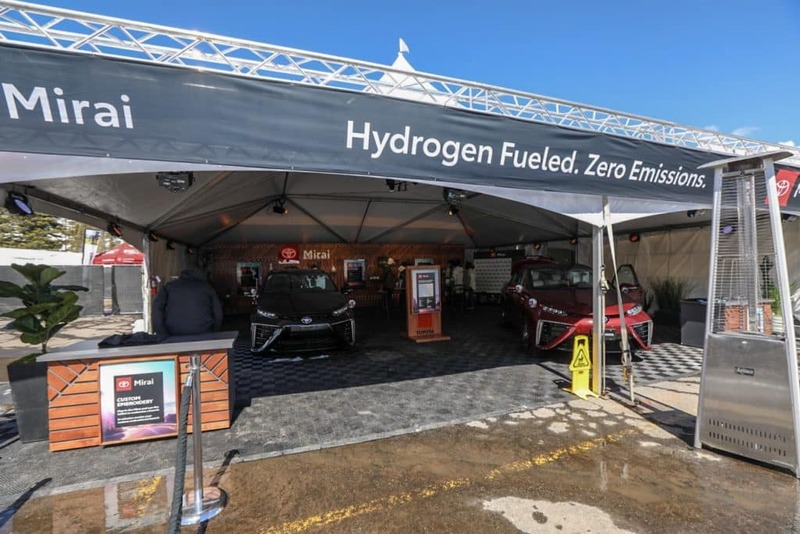 Right now, there are stations just for hydrogen charging, but more and more standing gas stations are adding hydrogen pumps. Currently there are 39 hydrogen stations in California, most concentrated in Los Angeles and the San Francisco Bay area. There are many more to come, as the state of California has added funding to develop hydrogen fuel cell technology. When you lease the Mirai, you are eligible for either a $5,000 Clean Vehicle Rebate or an HOV sticker. In some cases, based on income, you can be eligble for both. The car also comes with a fuel credit card for $15,000 worth of free hydrogen fuel. So when you sit down and do the math, the car is very affordable. If you live in a place that doesn’t have the infrastructure required to drive a Mirai, but you want to support the Clean Vehicle industry, talk to your state representatives! This amazing vehicle will become more and more available as states choose to put funding towards hydrogen as a fuel source. 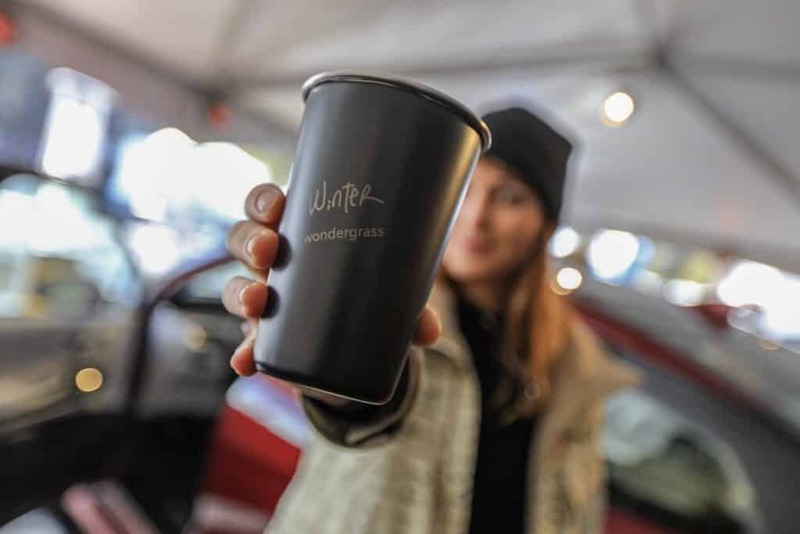 If you’re at WinterWonderGrass, stop by the Toyota tent! 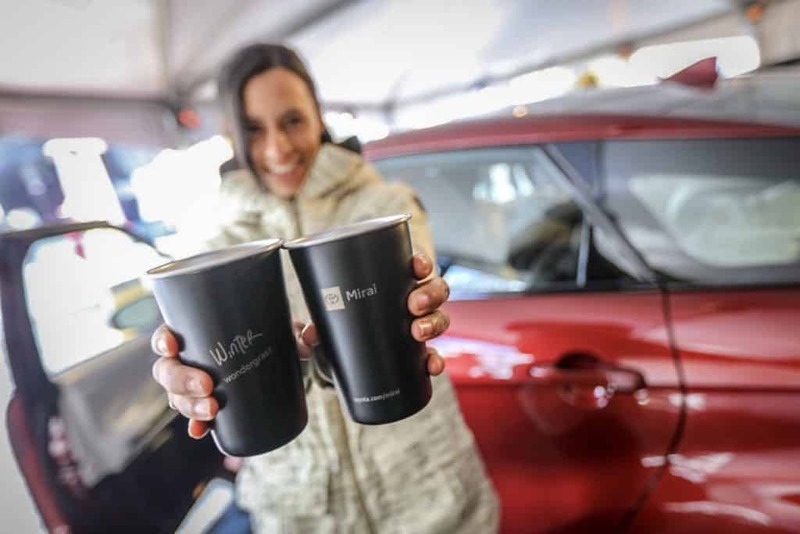 If you bring your tin festival cup, you can actually sit in the front seat of one Mirai and an engraving machine in the trunk of the car will engrave a message of your choosing, or you can sit in another car which will engrave a Toyota beanie. 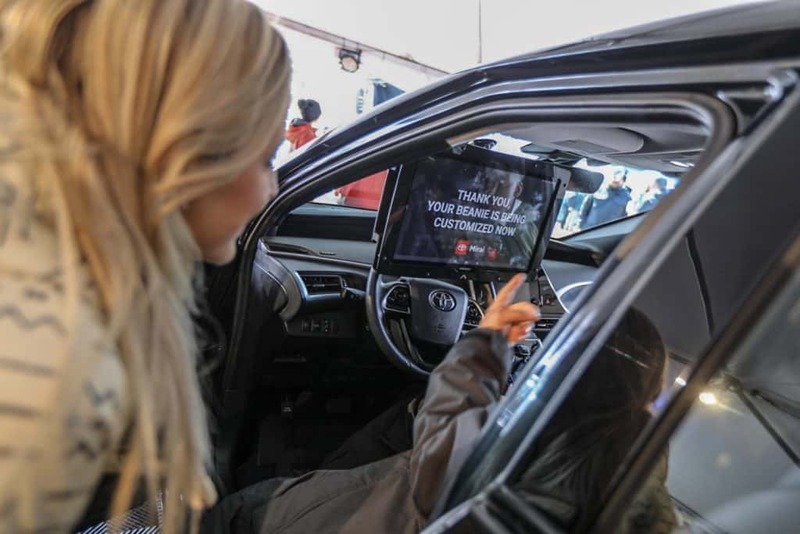 With every person who participates in the Toyota Mirai Ride and Drive, Toyota will donate $50 dollars (or up to $5,000 total) to the Shane McConkey Foundation. We’re thrilled about our partnership with Toyota and hope you get the chance to come check out this luxury whip!